As we all know WhatsApp is the most popular chatting app used in majority of the countries worldwide and almost anyone who has a Smartphone is using WhatsApp. Hence many small business and reputed companies intent to use WhatsApp for Business purpose. However to use it as a smart business solution that can helps you connect with prospect new leads / customers / vendors and even your own team you need an online application that is stable, secured and capable to manage multiple request on your official WhatsApp Number. At WebXion we had implemented multiple breakthrough solutions that work seamlessly on WhatsApp. Our WhatsApp AutoBot Service is a well tested and most recommended online application that offers complete solution to send / receive / view and update content on your availed dedicated WhatsApp Number from our online application. Our application has unlimited usages and possibilities. And we specialize in providing full customization and integration between whatsapp and your system or software too. You can use our Transactional WhatsApp API Service as smart automated response from your whatsapp number 24 x 7 x 365 without any human intervention. Our Web-Based panel give you options to upload content in multiple format, capture incoming message, autoreply instantly and generate reports to review performance of WhatsApp Autoresponder Service. Join as Channel Partner for WhatsApp AutoBot Service? We are pleased to launch Channel Partner Plan for this service. This plan is majorly for IT Companies who have good reputation in industry and strong client base. Many business are looking forward to use WhatsApp as a tool to do business communication with their end users. And our WhatsApp AutoBot Service has both web-based panel and API support enabled and hence it’s a major game changer for companies as they can do lot more than they ever expected using WhatsApp Platform. We are only offering Channel Partner Packages and NO WHITELABEL ACCOUNT available for this product. Hence if you are interested to work as channel partner and earn good monthly revenue feel free to contact us. This is LIMITED PERIOD OFFER, once we have built region wise reputed channel partner network, we would not be offering any more channel partner subscriptions to avoid conflict of business interest within channel partners. 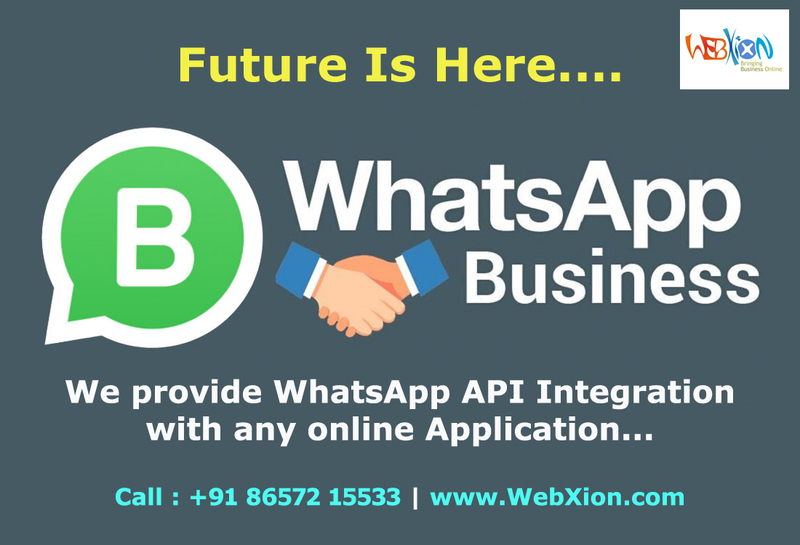 Below are list of few Popular Solutions & Integrations, we offer with WhatsApp Business App at WebXion. Send automated STANDARD RESPONSE on all incoming message received on your WhatsApp number integrated with our system 24 x 7 x 365 days. This feature is mostly used by Builders / Food Outlets / Manufacturing Companies / NGO's / Retail Store and any more... As they want everyone to get same content sent instantly on WhatsApp (Eg Text / Image / Video / Audio / PDF Files). We provide two-way communication integration between your system and whatsapp using our application. Early companies availed ShortCode SMS Services to Receive specific content on there ShortCode Number and then send dynamic response back to sender via SMS. However ShortCode had always been very costly service for sender and error chances in sending invalid content are too high. However now with our smart WhatsApp Integration Service you can use your Business WhatsApp Number as ShortCode Service and get better results instantly and its Free of Cost for Sender as its all done on WhatsApp . Get Personalized KEYWORDS based Replies defined in our portal and response forwarded to your application realtime. We are all familiar how effects News Feeds are in Facebook / Twitter and other social media sites. With our Smart Integration on WhatsApp now you can easily broadcast NEW FEED's to all subscribe members realtime using API integration with your Website or Application. We all know we never miss to check whatsapp alerts so now you can expect upto 100% attention on your Business NEWS FEED's too. Want to give Something Unique, Some Special Experience when interacting with your brand. Then you should definitely use our PICK SALES ORDER on WHATSAPP SERVICE. Now your subscribe customers can place order directly from WhatsApp and you can send Payment Links and Order Confirmation Details all on WhatsApp. Want to Explore some innovative and cost effective solution when sending ticket confirmation details. Then you should definitely use our INSANTLY SEND TICKET CONFIRMATION on WHATSAPP SERVICE. Now your subscribe customers can received booked ticket details along with Media Files directly on WhatsApp. This will ensure you can even promote your brand at no additional cost. Send automated DYNAMIC RESPONSE on all incoming message received on your WhatsApp number integrated with our system 24 x 7 x 365 days. This feature is mostly used by Shopping Websites / Software Companies / Financial and Trading Companies and any more... As they want everyone to get personalized message sent instantly on WhatsApp (Eg Text / Image / Video / Audio / PDF Files). Early companies availed LongCode SMS Services to Receive specific content on there LongCode Number and then send dynamic response back to sender via SMS. However LongCode had always been very complex service for sender and error chances in sending invalid content are too high. However now with our smart WhatsApp Integration Service you can use your Business WhatsApp Number as LongCode Service and get better results instantly and its Free of Cost for Sender as its all done on WhatsApp . Get Personalized KEYWORDS based Replies defined in our portal and response forwarded to your application realtime. Our Alert Notification on WhatsApp feature is mostly used by Shopping Websites / Software Companies / Financial and Trading Companies and any more... As they want everyone to get personalized message sent instantly on WhatsApp and with 100% success rate. In this fast changing world everyone wants that there task are done directly on mobile from anywhere anytime. With our latest integration option you can send content update request directly from your subscribed whatsapp number. Along with Media content update. Want to give Something Unique, Some Special Experiance when interacting with your brand. Then you should definately use our AUTO SEND ORDER CONFIRATION UPDATE on WHATSAPP. Now your subscribe customers can place order directly from WhatsApp and you can send Order Confirmation Details all on WhatsApp (Eg Text / Image / Video / Audio / PDF Files). Now you can send and receive verification code directly at no additional cost to sender or receiver with our smart WhatsApp Integration Service. Why waste money in Printing Brochure and then additional cost of distribution of brochures. With our AUTO SHARE PDF OPTION on WHATSAPP . Now your subscribe customers can get latest copy of brochure automatically on WhatsApp. Why waste time and money in calling all known members. Send Audio clip with our AUTO SHARE AUDIO OPTION on WHATSAPP . Now your subscribe customers can get your audio clip automatically on WhatsApp. People who do online trading often get daily rates and TIPS on SMS. However details you get in SMS are very limited and to place order you have to either call or sms on personal number manually. With our SEND DAILY TIPS / RATES on WHATSAPP SERVICE . Now your subscribe customers can get latest details automatically on WhatsApp and also reply back and place order. Many companies use Missed Call Service for lead generation or verification and in response of call send SMS or Voice Call as confirmation to caller. However now companies can also send wide range of Media content with our Missed Call Service Integration on WHATSAPP SERVICE for numbers active on whatsapp else SMS notification if not found on whatsapp. This way they can even filter quality of leads responding to there missed call campaign. Want to built your brand value, give Special Experiance when interacting with customers. Then you should definately use our SEND ORDER STATUS UPDATE on WHATSAPP SERVICE. Now your subscribe customers can plance order directly from WhatsApp and you can send Order STATUS Details all on WhatsApp. Making phone calls or sending emails to raise Support Ticket are stories of past. Now your customers can directly send request with snapshots on your official whatsapp number and get automated Ticket ID and status update details all on WhatsApp. We had built and designed an multiple innovative solutions that seamlessly integrate with WhatsApp. All our solutions are complete web-based and we give you option to provide your own whatsapp number or choose whatsapp number from our portal to be used as your official WhatsApp Number for Business. Welcome to WhatsApp for Business Service ! Click Here to Test ! Why you should avail WhatsApp for Business Service ? Running WhatsApp Campaign very low cost and effective. If number is active on whatsapp you can be sure that he/she would see your campaigns 100%. If an end-user cannot afford a smartphone and is not having WhatsApp enabled phone. Definitely he is not worth to be called as prospect lead. Save money by sending relevant campaign to target audience then broadcasting in mass without knowing campaign outcome. Most of the other means of lead generation service are time dependent. In limited time and efforts you could reach mass target audience easily. It's easy to run campaigns and you get campaign summary report too online. www.WebXion.com 5 out of 5 based on 254 ratings. 254 user reviews. No need to worry about delay in response. Just upload file and autoresponder will run automatically. WhatsApp campaign are broadcasted via automated system and our portal is very easy to use. Your data is secured & encrypted you can be 100% assured about quality of service and support by WebXion Team. We offer multiple plans to meet all types of client requirment. For SME sector we have Cloud Based Portal that is cost effective solution and runs on shared envirnment and run multiple user accounts in parallel. Enterprise Dedicated Panel is available for highspeed large volume campaign broadcasting. Feel free to contact us via Email, Phone or Chat. All pricing details would be shared via Email only as per company policy. Your account would be live within 30 mins of payment confirmation during Business Hours. We all know running promotional campaigns using only single type of lead generation service is like depending on only single player to win Football Match. We are not just a solution provider company we offer end-to-end lead generation and management services. And hence we always recommend client to go for multiple services when planning a campaign. This will ensure you would be able to target prospect leads at different time in a day via different platform. This is both cost effective and generate more quality leads in short time duration. Recommended Service to be run along with WhatsApp AutoReply Service: Google Top Page Ranking (SEO), Google Adwords, Facebook Marketing, Email Marketing & Missed Call Service. America, Abu Dhabi, Africa, Argentina, Australia, Austria, Bahrain, Bangladesh, Belgium, Brazil, Cambodia, Canada, China, Colombia, Cuba, Cyprus, Czech Republic, Denmark, Dominica, Dubai, Egypt, Ethiopia, Fiji, Finland, France, Georgia, Germany, Greece, Grenada, Hungary, Iceland, India, Indonesia, Iran, Iraq, Ireland, Israel, Italy, Jamaica, Japan, Jordan, Kenya, Korea, Kuwait, Kyrgyzstan, Liberia, Libya, Lithuania, Malaysia, Mexico, Mongolia, Myanmar, Netherlands, New Zealand, Nigeria, Norway, Oman, Pakistan, Palau, Panama, Philippines, Poland, Portugal, Qatar, Romania, Saudi Arabia, Singapore, South Africa, Spain, Sweden, Switzerland, Syria, Taiwan, Thailand, Turkey, UAE, Uganda, Ukraine, United Arab Emirates, United Kingdom, United States, US, USA, Yemen, Zambia, WhatsApp API , WhatsApp for Business AutoBot Application. Pune, Mumbai, Baroda, Vadodara, Delhi, Indore, Jaipur, Bhopal, Lucknow, Surat, Bharuch, Ahmedabad, Nasik, Aurangabad, Bengaluru, Bihar, Chennai, Kolkata, Hyderabad, Noida, Kanpur, Nagpur, Ludhiana, Patna, Thana, Agra, Varanasi, Nashik, Meerut, Faridabad, Allabhad, Amritsar, Vishakhapatnam, Ghaziabad, Rajkot, Jabalpur, Coimbatore, Srinagar, Aurangabad, Ranchi, Jodhpur, Gwalior, Chandigarh, Trivandrum, Mysore, Navi Mumbai, Jalandhar, Bareilly, Kota, Bhubaneshwar, Gorakhpur, Rajpur, Kochi, Cuttack, Ajmer, Kolhapur, Dehradun, Jamnagar, Udaipur, Jhansi, Jalgaon, Anand, Thana, Gurgaon, Indore, NCR, Gurgaon, Gurugram. Our service is inhouse service and we are only charging for our integration service and platform we provide to upload and download content. WhatsApp is an independent 3rd Party App and ownership to block number / content / stop any feature in WhatsApp is beyond our scope or ownership. WebXion has no official or formal association with WhatsApp nor we claim about this. Ownership of Content Send or Received on WhatsApp would solo owned by client. We are not charging or promoting or selling directly or indirectly to anyone to use or access WhatsApp as its not our product. We are only charging for service we provide from our portal. 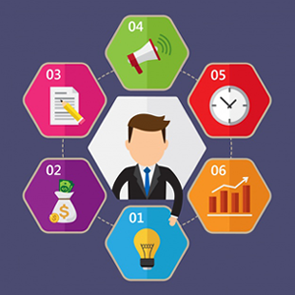 We had been looking for long-terms online marketing solution that could help us target prospect leads at affordable cost and built our brand value. Thank you WebXion for meeting our expection. We had tried many different digital marketing solutions in past, however results we got from WebXion WhatsApp Marketing Solution had been highly satisfactory. Enter your WhatsApp and subscribe to our newsletter. Success! You've been added to our WhatsApp list. 402, MSR Capital, Morwadi, PCMC, Pune - 411018. 11414 W. Park Place, Suite 202, Wisconsin, Milwaukee. For International clients only, we have dedicated Skype Account. WebXion Technologies LLP © Copyright 2009 - 2019. All Rights Reserved. Sign up for our WhatsApp Newsletter below. It's a great way to stay in touch with us and receive updates automatically.